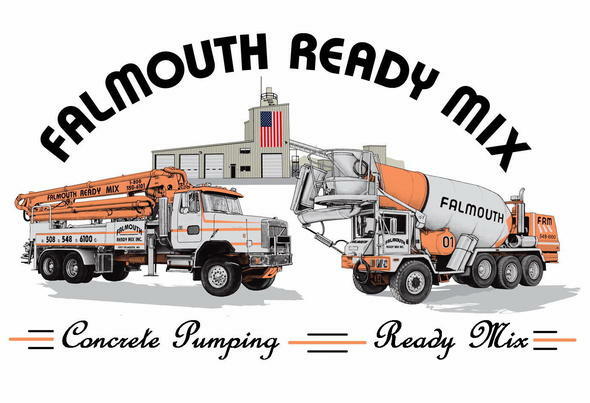 Welcome to Falmouth Ready Mix Inc.
We are a family owned business with a long history of excellent service, as well as a superior product line. Our state of the art concrete plant is Mass DOT Approved. We deliver commercial and residential ready mix concrete with an outstanding fleet of front discharge concrete mixers with highly skilled and experienced operators. In 2010 we added a second concrete pump truck to the fleet, and our concrete block divison is growing larger to Better serve our customers.